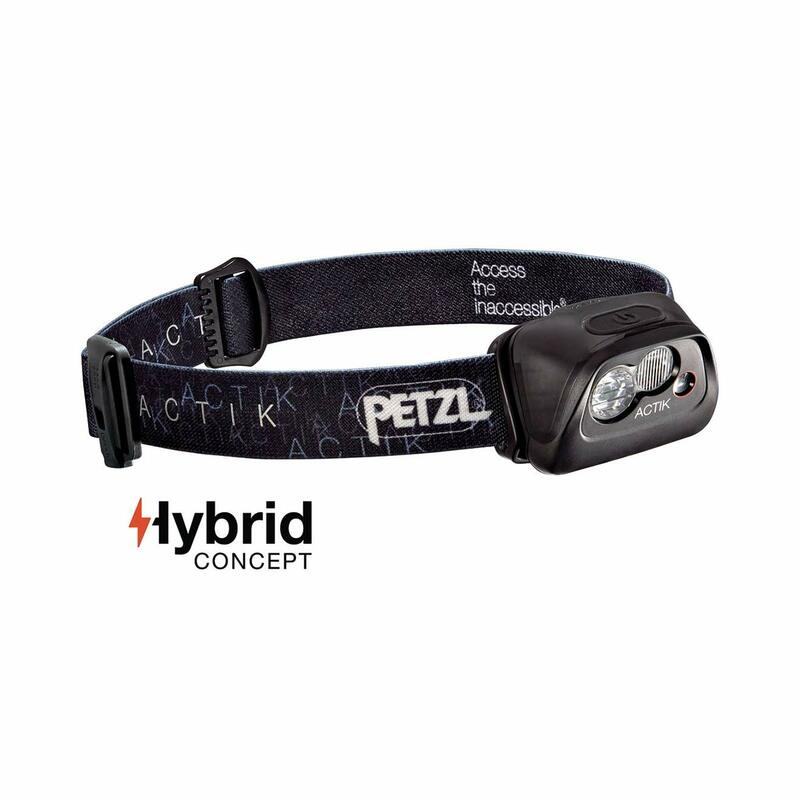 The Petzl ACTIK is a compact and powerful 300-lumen headlamp with economic lighting modes that make it ideal for all outdoor space-conscious activities like mountaineering, running, hiking, and backpacking. The Petzl ACTIK will burn for an impressive 60h on its max setting with an economical mode that bumps that number up to 260h, which make this small and light headtorch perfect for extended trips where you may not be able to find more power for quite some time. The ACTIK also has a red mode for preserving night vision, and it can be used with batteries or with the Accu Core Battery (sold separately). Comes with three standard batteries, and is also compatible with the CORE rechargeable battery. Adjustable elastic headband is equipped with an emergency whistle and retro-reflective markings to optimize visibility.